A historical paranormal romance with sweeping consequences, “Fated” is sure to thrill. Set in ancient Rome, you will find yourself immersed in the culture, drawn to the intrigue and yearning for the romance. 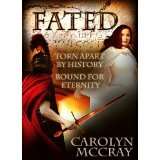 Carolyn McCray transports readers back to Rome, during the rule of Julius Caesar and just before the Ides of March, in her novel, Fated. If you ever wondered why Brutus, Caesar's closest friend, was the one to deliver the killing blow, McCray has created an intricate tale that tells why, coupled with a love story that lasts throughout eternity. Syra and Brutus are the main characters of the book, alternating perspectives. Syra is a warrior, who when discovered to be a woman, is sold into slavery. She's strong, brave, courageous, motivating, and has the mind of a military official. She's never felt love before and for is drawn to Rome by her dreams. Readers will enjoy her tom-boy personality, while respecting her for what she can do on the battlefield. She's a stubborn character who is full of pride and hope for the future. Brutus is a member of Rome's senate during a time in which the conspiracy to overthrow Caesar is born. Though, he believes that he's the illegitimate son of Caesar, readers know from history that he is the one to kill Julius. His character in the novel is intelligent, loyal, proud, trustworthy, friendly, and he is always trying to help anyone he can. Readers will love his guardian nature and be captivated by his story. The plot starts unfolding very quickly as readers realize that the Ides of March are coming soon and Rome's ruler won't survive. After Brutus and Syra meet (as owner and slave) they become enamored with each other. As their love grows, so does the plot to kill Caesar. Will they both survive the fall of the Roman ruler, or will Brutus be on the receiving end of a knife as well? Fated is fantasy, history, romance, and thrilling all at once. 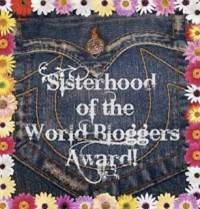 Wonderful book!